The largest patient event in the world for headache returns this March 20-28. 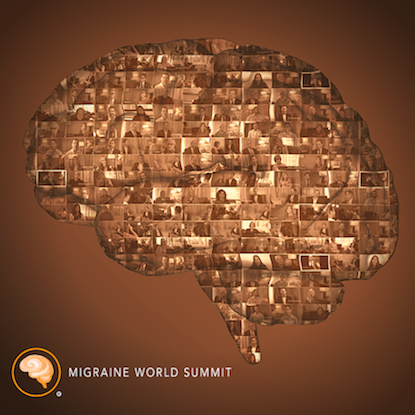 The Migraine World Summit will bring together 32 experts including doctors and specialists to share new treatments, research, and strategies to help you improve your migraine and chronic headache. World-Leading Experts: At the Migraine World Summit, you’ll learn first-hand from 32 of the world’s top migraine and headache experts from leading institutions including the Mayo Clinic, Harvard Medical School, John Hopkins Hospital, Stanford Medical, John Hopkins Hospital, and the International Headache Society. Full Access: Many of these world-leading experts have long waiting lists and fees that are beyond the affordability of the average insurance policy. Skip the waiting period and get straight into the room with these experts. Free: The event is entirely free whilst live from April 18-26. Visiting dozens of specialists in one field would take years and costs thousands of dollars. This is an incredible opportunity to hear from dozens of leading experts in migraine for free during the week. After April 26 transcripts and interview copies are available to order. What new treatments are available or coming soon? What can I learn from successful patient case studies? What new non-medicinal alternatives are recently available? How can I break refractory chronic migraine? When I should get a scan for my headache condition? How are neck pain and migraine related? How important are sleep and exercise really for those with migraine? Are supplements or vitamins worth considering? What are some common drug interactions and side effects we should know about? How do I need to know about hemiplegic and vestibular migraine? How important is diet for migraine and headache? How can I interpret migraine research? The virtual Migraine World Summit is free from March 20-28, 2019. Register now for your complimentary pass. I used to get migraines regularly. They are horrible. My mother used to suffer terribly. Hers improved almost immediately after menopause. She had a radical hystorectomy(unrelated) and I don’t think she has had one since. Beliieve it or not the answer to mine was a friend praying over me. I feel for you Sara.